This is the Didge Wiki! Completely free lessons, videos & useful didge articles. Welcome to the Didge Wiki! 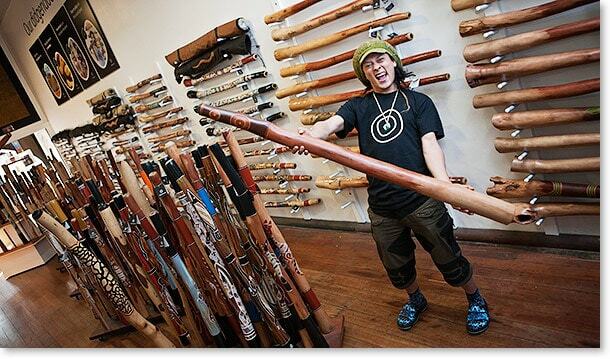 This is the Didge Wiki area and contains many free lessons that have appeared on Youtube, videos of past concerts, articles and information on instruments and profiles of many popular Didgeridoo Players. Many of the pages in this section have appeared on the Didgeridoo Breath blog over the last few years but are now laid out in a much more accessible fashion. Our intention is to keep the Didge Wiki separate to the Members area and free! Make sure you check back in regularly as we’ll be adding more content to the Didge Wiki area over time. As always, we love your feedback & comments and any suggestions on how we can improve the Didge Wiki area. Got a suggestion for the Didge Wiki? We'd love to hear it!